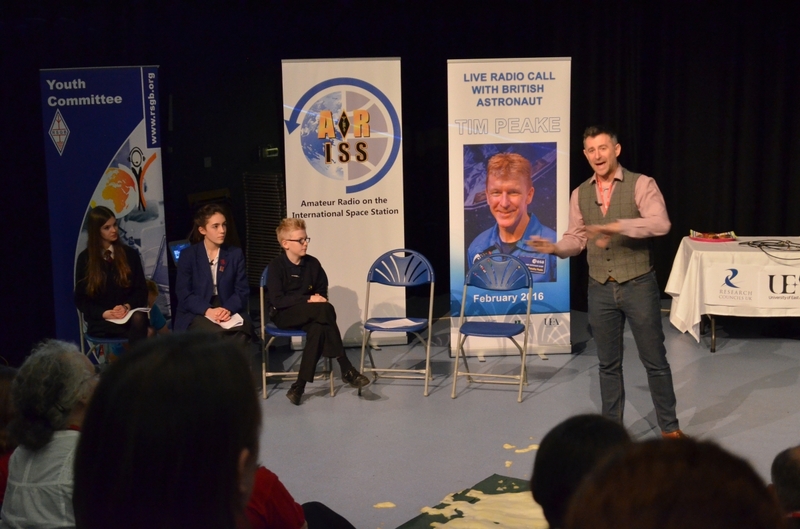 On 26 February 2016, at 2.40pm, 120 students from 21 local schools gathered in Norwich to talk to Tim Peake via an amateur radio link with the ISS, and ten lucky students were able to ask their questions directly to Tim. 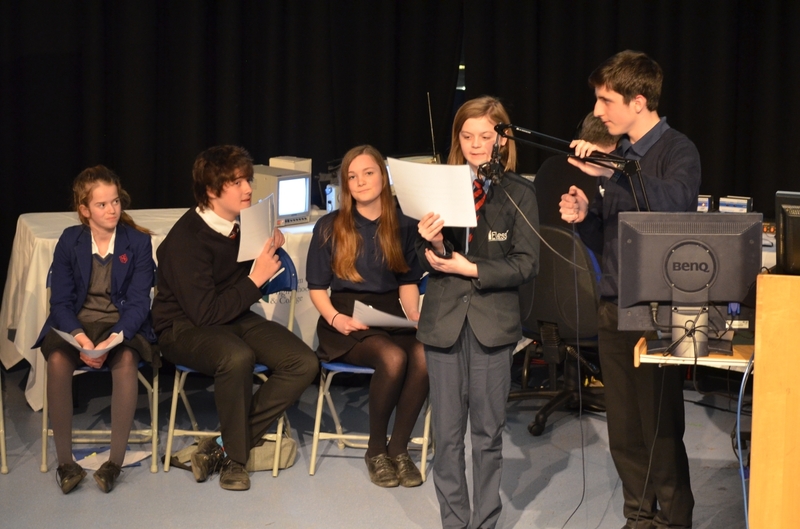 This was the culmination of a huge project with the local schools which involved supporting them to run question competitions, providing them with kits to investigate radio, organising a teacher workshop for embedding the ISS in lessons across the curriculum and finally in two days of workshops and activities building up to the big moment. We were able to get so many great people together to run workshops and be involved in the project as a whole by using the networks of so many people. Our thanks to Heather MacRae at Venture Thinking who put us in touch with people who were pivotal in making the event a success; to Dr Helen Mason OBE who gave a fantastic keynote speech on the first day and ran a workshop for the primary pupils who were there; to Jane MacArthur, a PhD student with an interesting career path – an ex-pupil of CNS, the school hosting the event – who was able to talk to students about her meteorite samples as part of an exhibition in the foyer over lunch time and was on our ‘expert panel’ to whom more questions could be asked along with Helen Mason; and to the Triathlon Trust who really made the live linkup day itself a buzzy, energetic and exciting day. The students managed to cycle to the space station and back in the two hours of activity time they had – fantastic! It is an experience the students will never forget and we are very grateful. 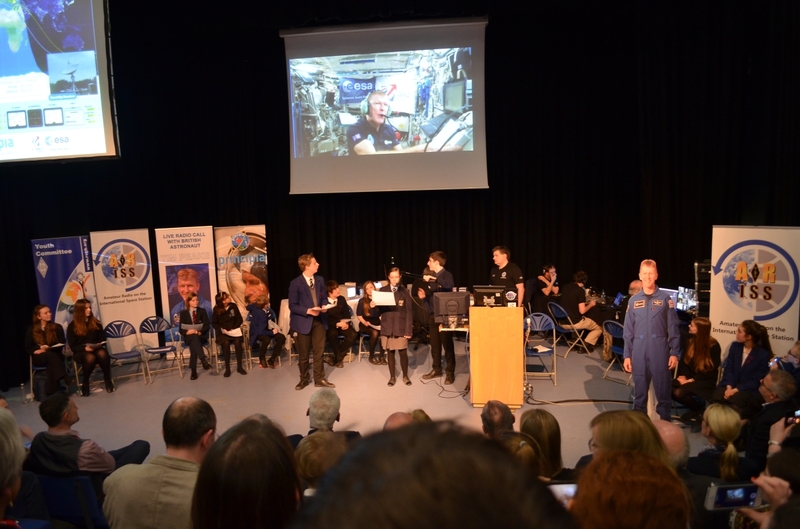 This marvellous event was organised by Norwich School, CNS, Reepham High and UEA and the link up itself was done by the wonderful ARISS team. The event was sponsored by the Ogden Trust and RCUK, and ARISS have funding from RSGB, ESA and the UKSA.